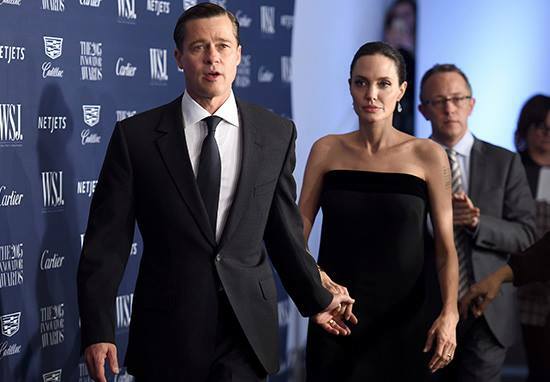 The rumour mill has been in full swing ever since Hollywood’s golden couple Brangelina announced they are to divorce. Amid reports of child abuse and substance abuse, people have also suggested Brad Pitt was having an affair. Caught up in the commotion is Brad Pitt’s leading lady in WW2 romance Allied, Marion Cotillard. The Oscar-winning actress has managed thus far to keep her private life just that – private. Unfortunately, due to allegations of infidelity between the Allied co-stars – with sources claiming Cotillard had a part to play in the breakdown of Brangelina’s two-year marriage – the actress has decided to speak out on Instagram. This is going to be my first and only reaction to the whirlwind news that broke 24 hours ago and that I was swept up into. I am not used to commenting on things like this nor taking them seriously but as this situation is spiraling and affecting people I love, I have to speak up. Firstly, many years ago, I met the man of my life, father of our son and of the baby we are expecting. He is my love, my best friend, the only one that I need. Secondly to those who have indicated that I am devastated, I am very well thank you. This crafted conversation isn’t distressing. And to all the media and the haters who are quick to pass judgment, I sincerely wish you a swift recovery. Finally, I do very much wish that Angelina and Brad, both whom I deeply respect, will find peace in this very tumultuous moment. With all my love Marion. Calling out the media and their sources for fuelling the fire of the unfolding drama, Cotillard eloquently dismisses the claims as false. It is a shame that in 2016, a respected actor with a family and thriving career is dragged through the dirt in this way, simply for working with a male colleague. We can only hope that the media will stop pitting two successful women against each other in the sad narrative of this family’s breakdown.